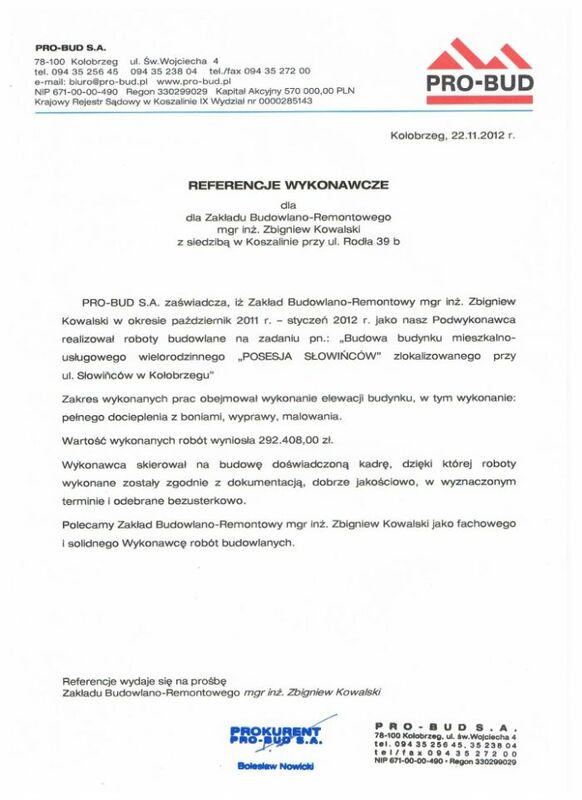 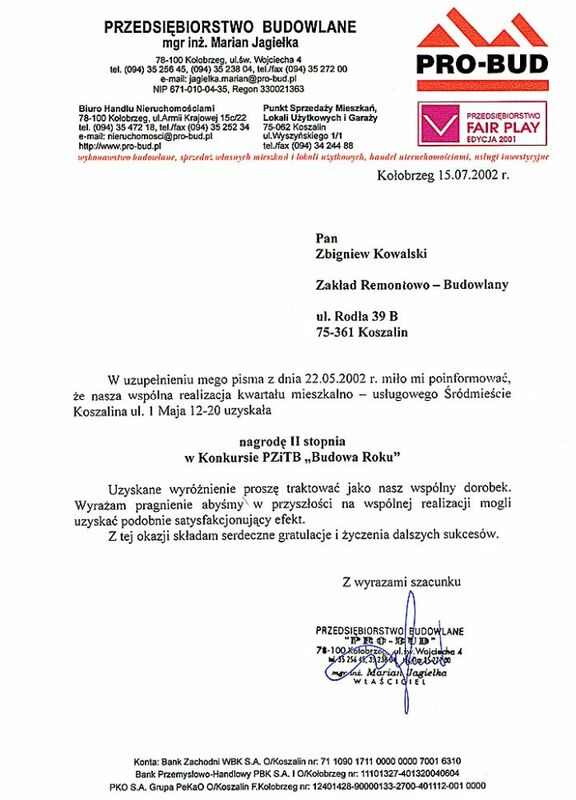 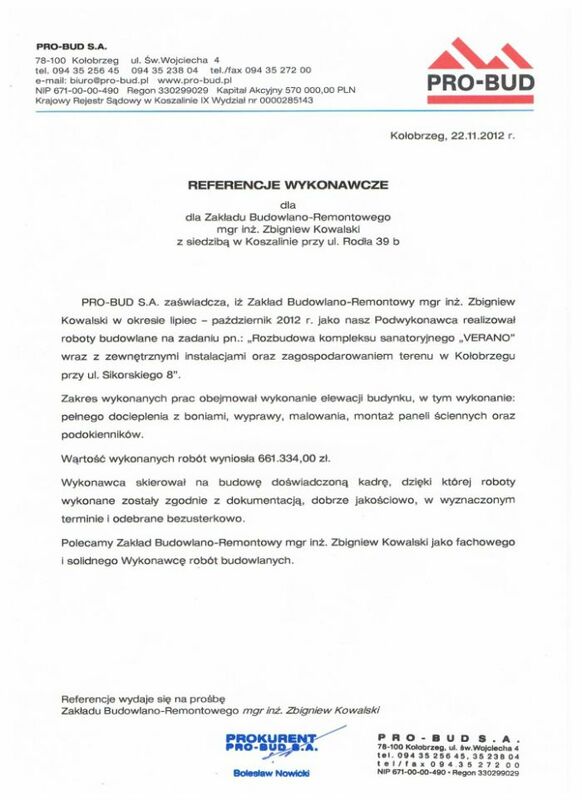 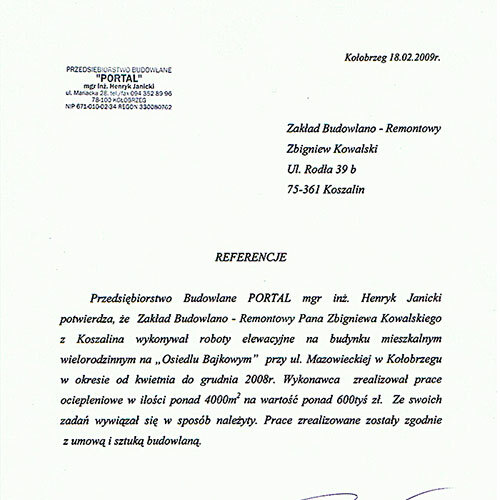 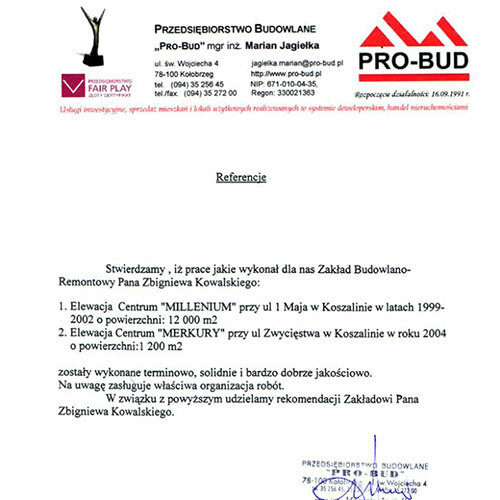 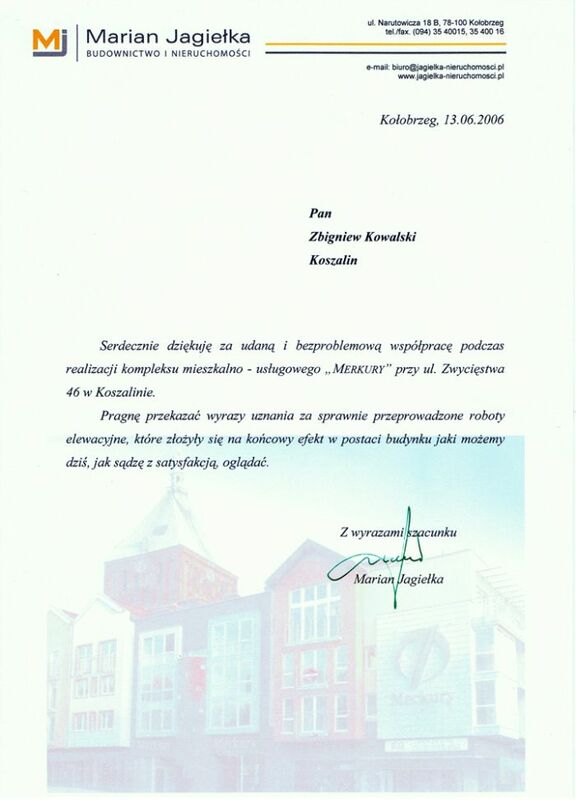 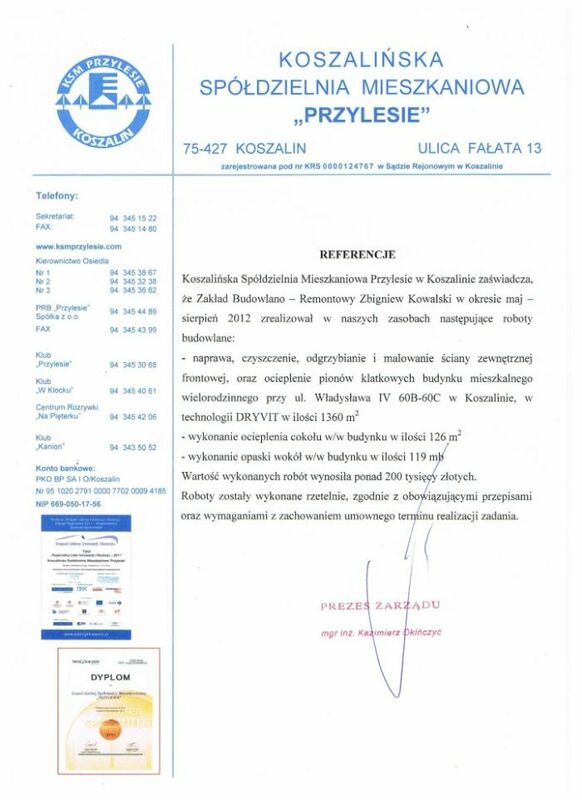 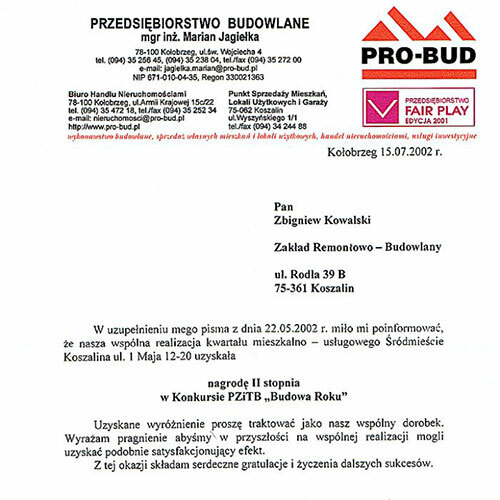 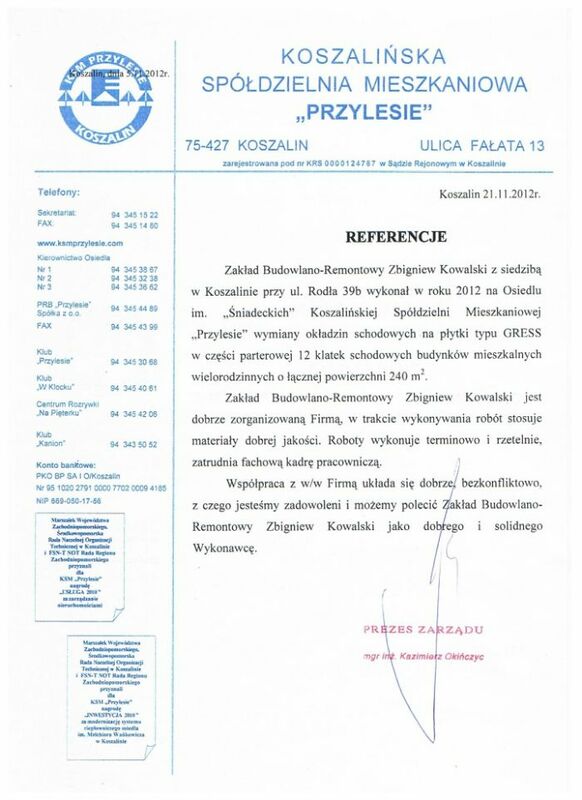 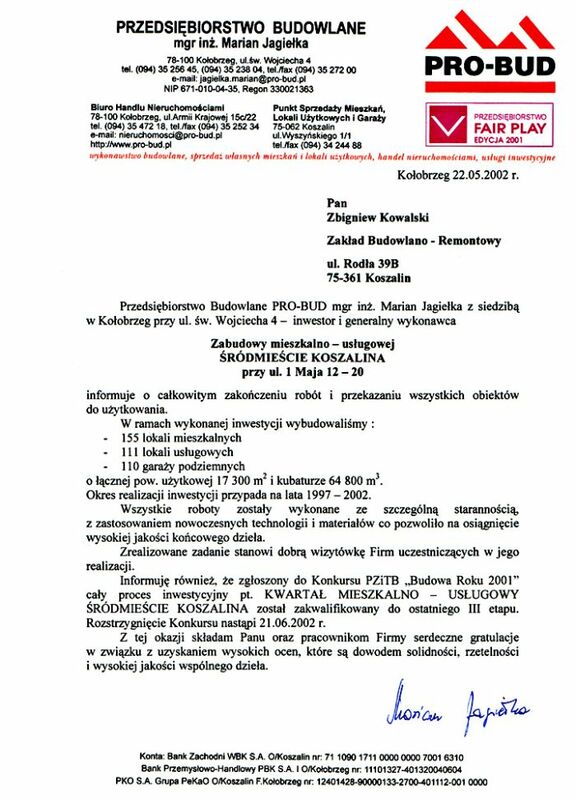 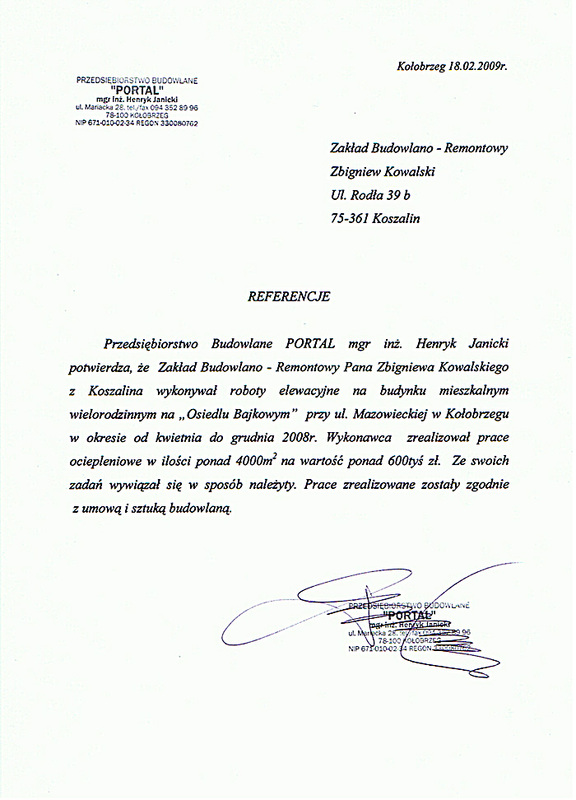 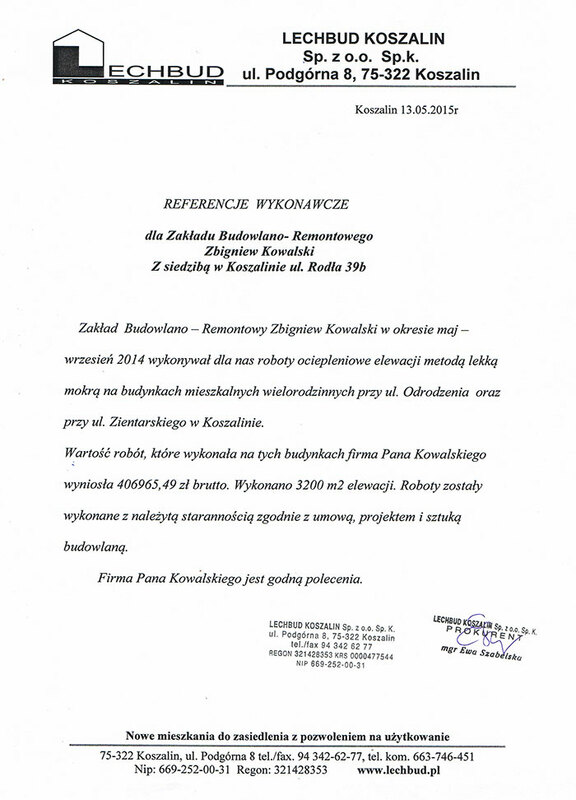 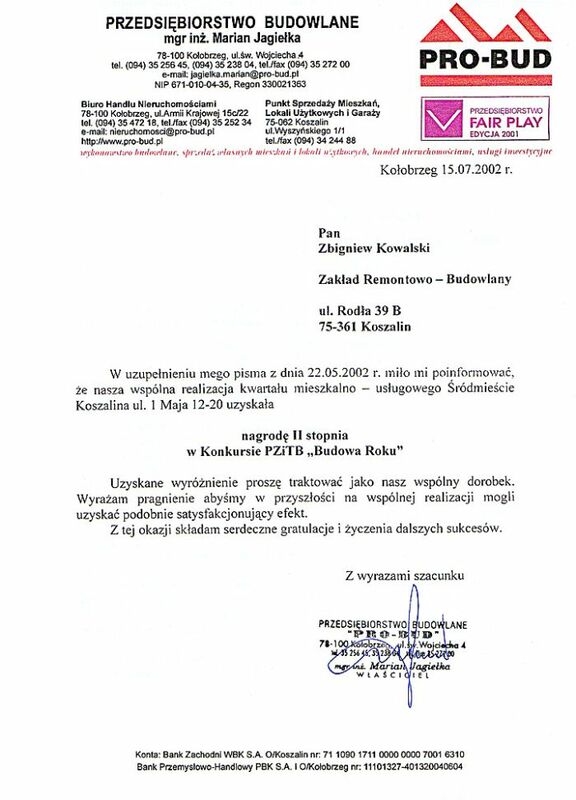 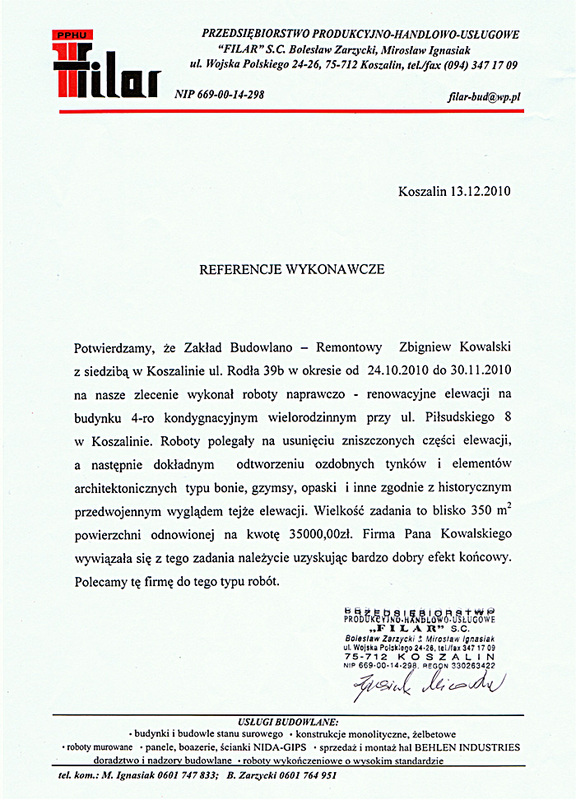 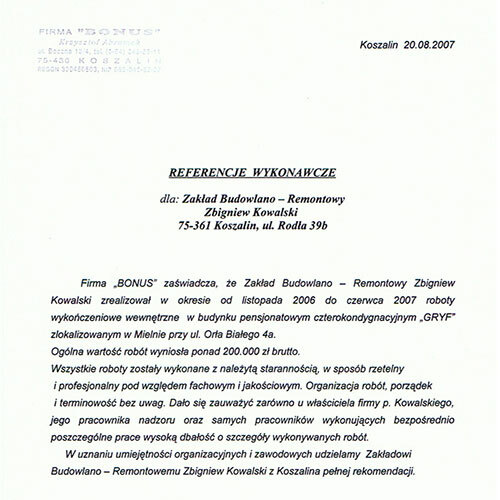 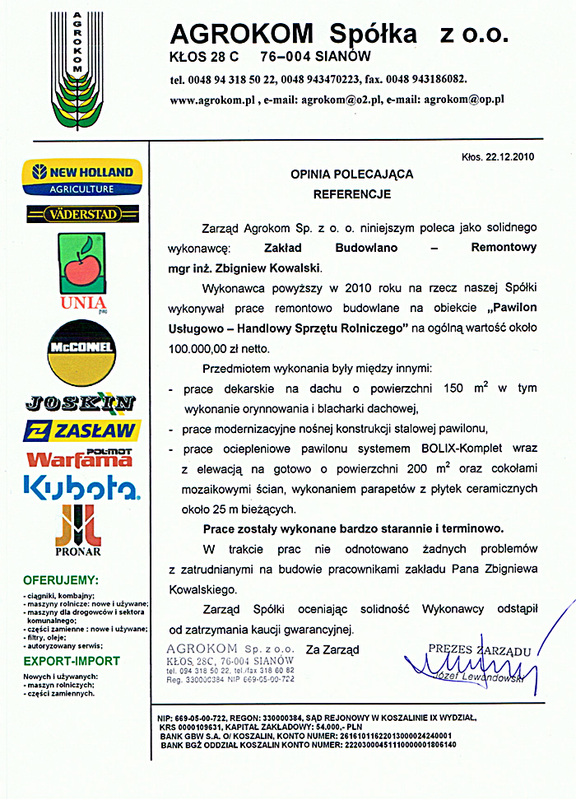 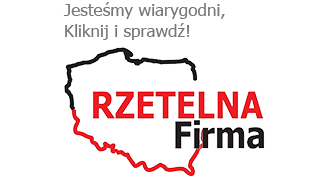 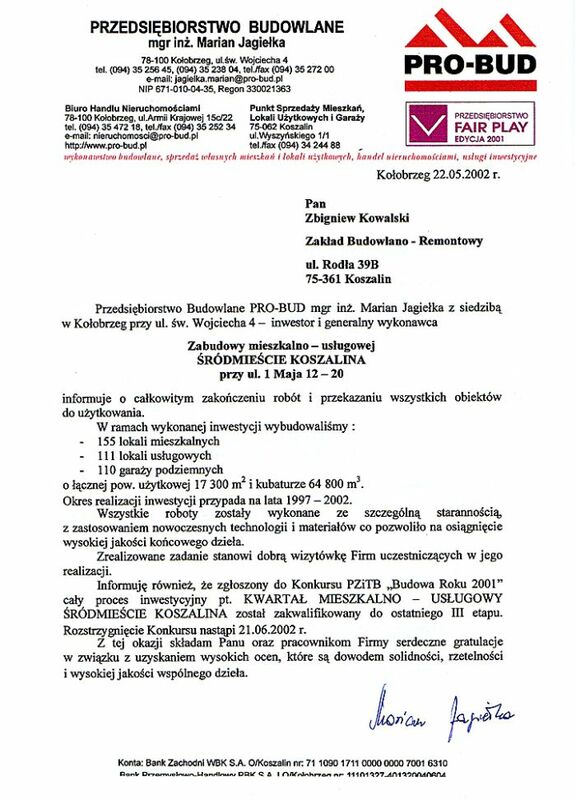 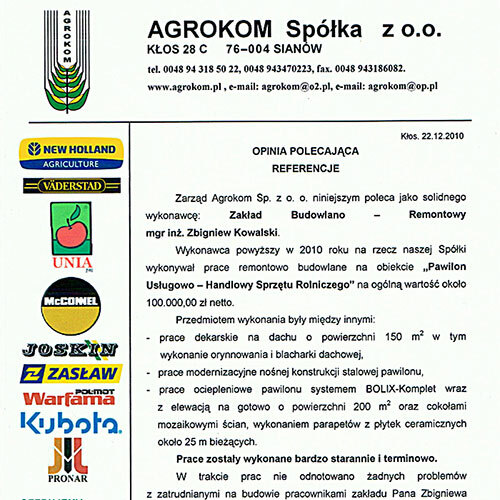 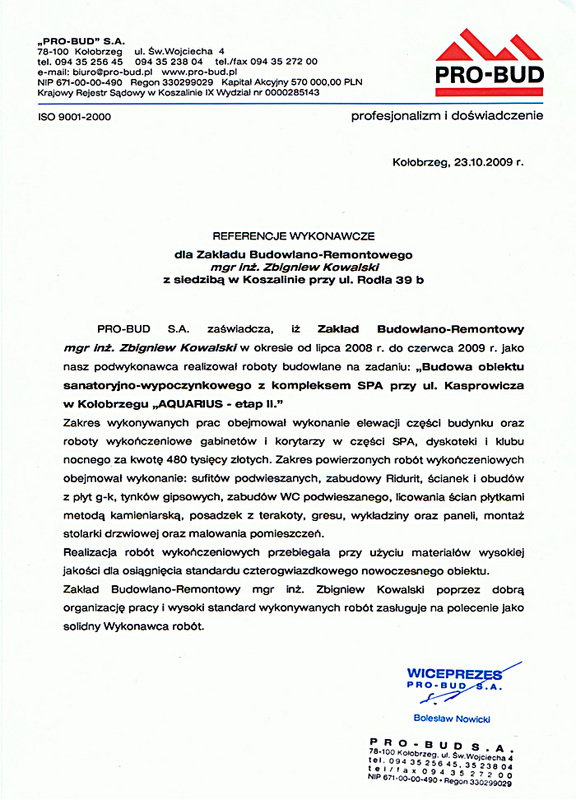 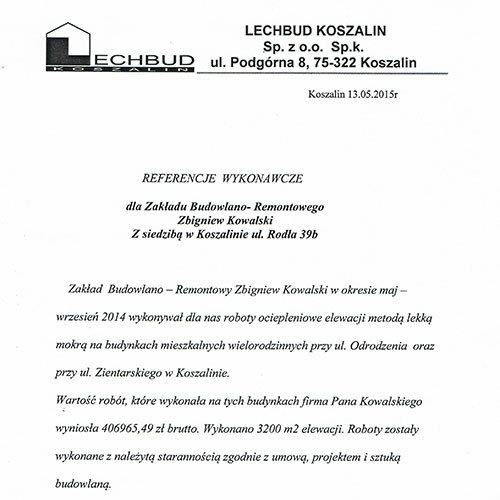 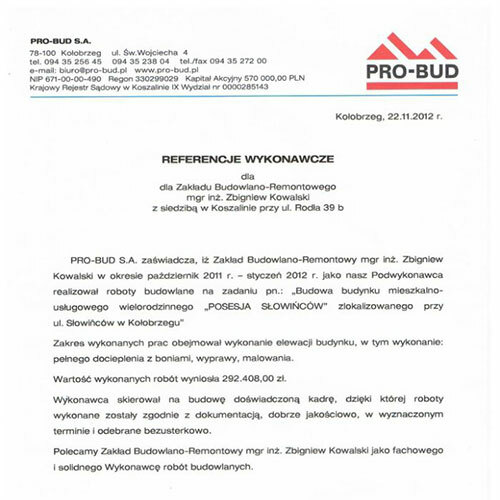 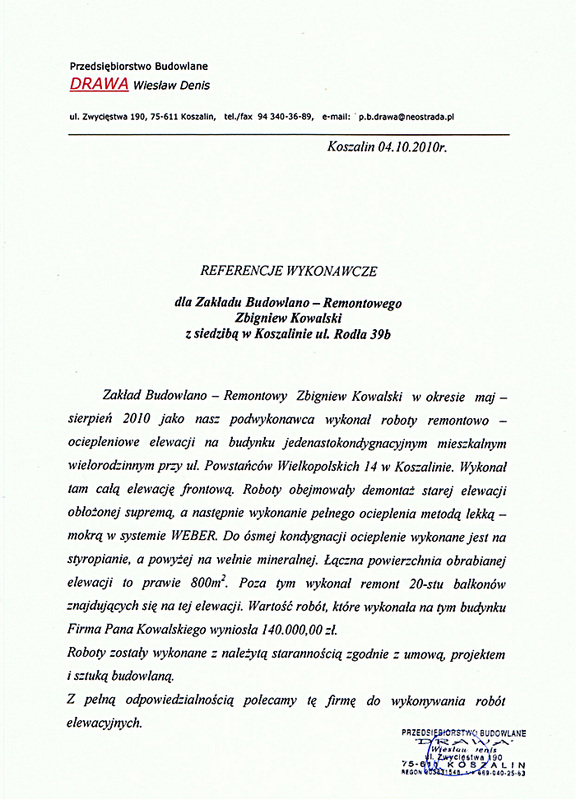 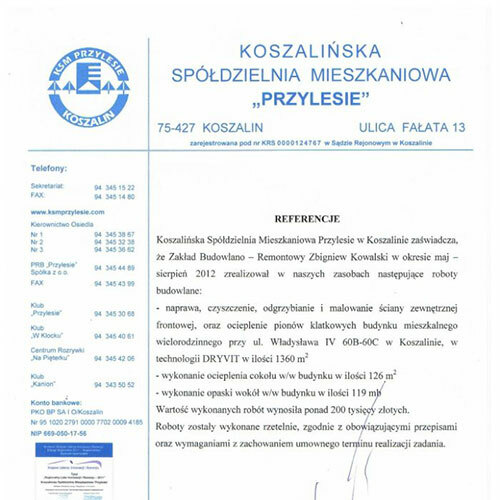 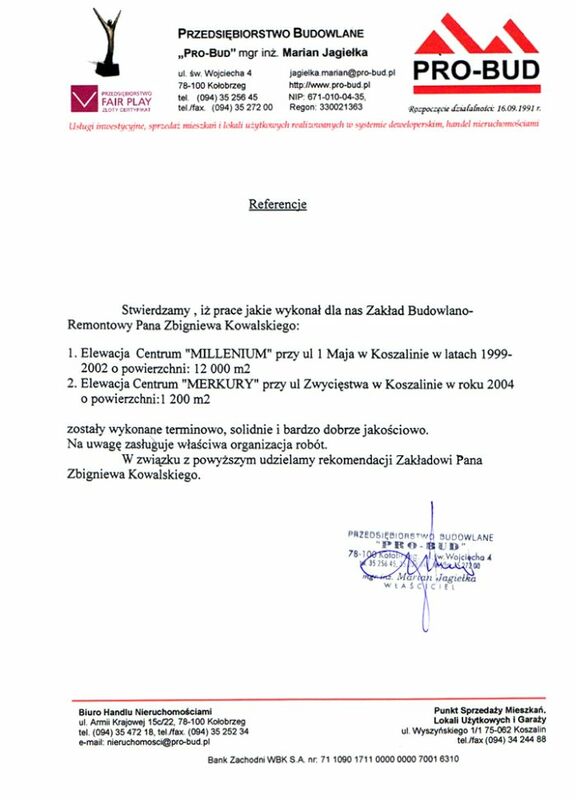 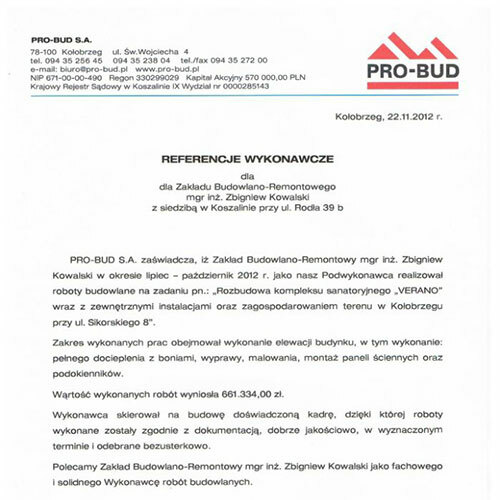 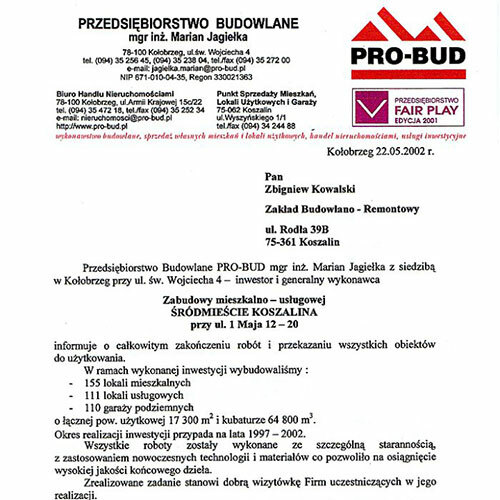 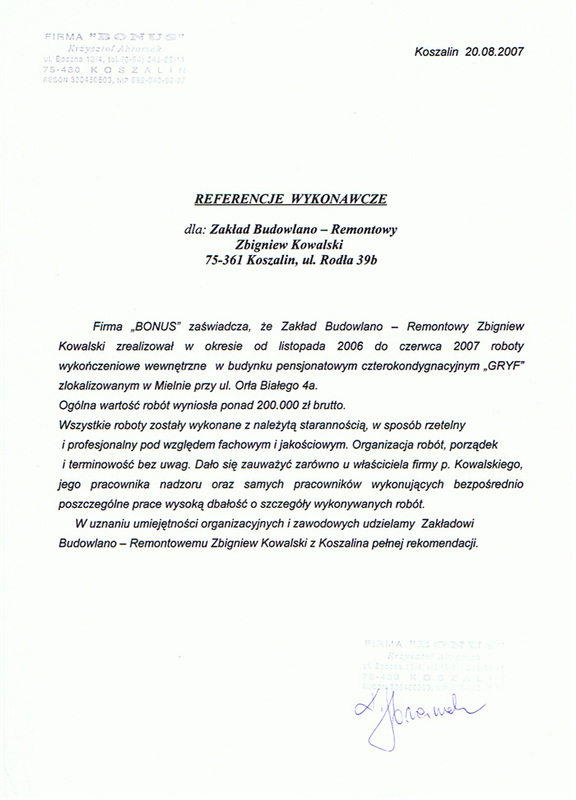 Zakład Budowlano – Remontowy Zbigniew Kowalski was set of in 2nd January 1997. 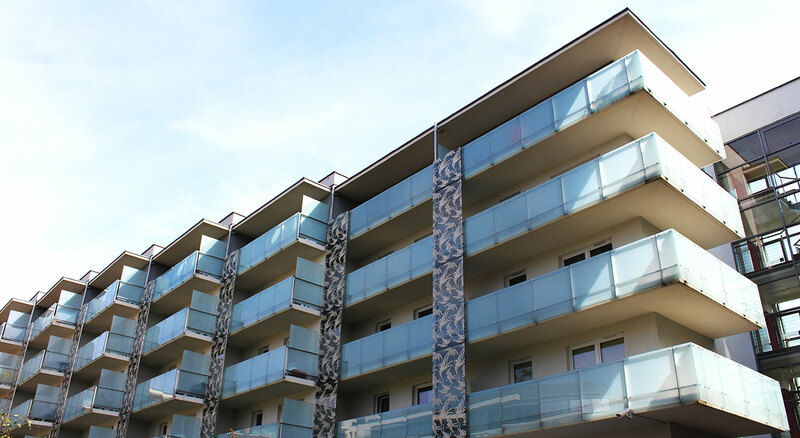 The main scope of activity of the company is to accomplish facades of buildings in every size and for every assignment. 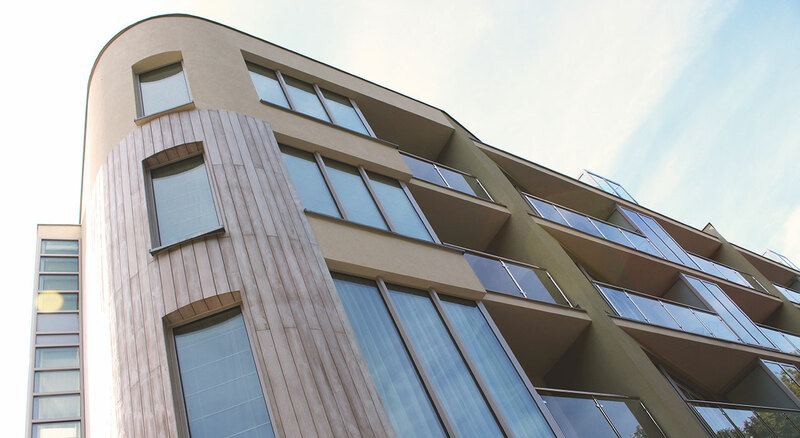 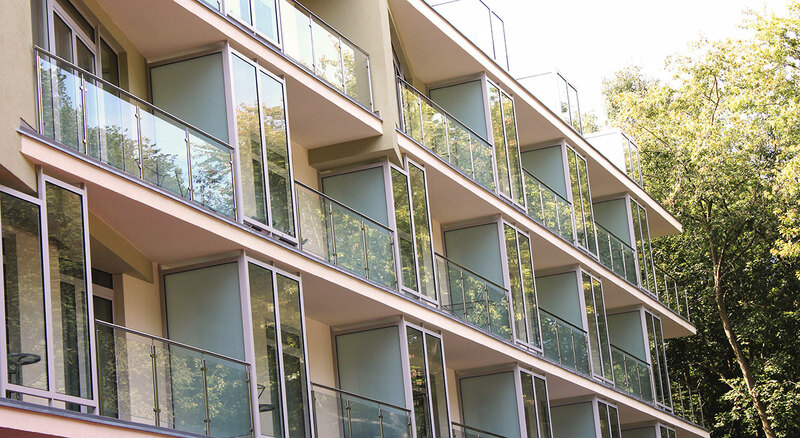 We have big expertise in accomplishing building facades. 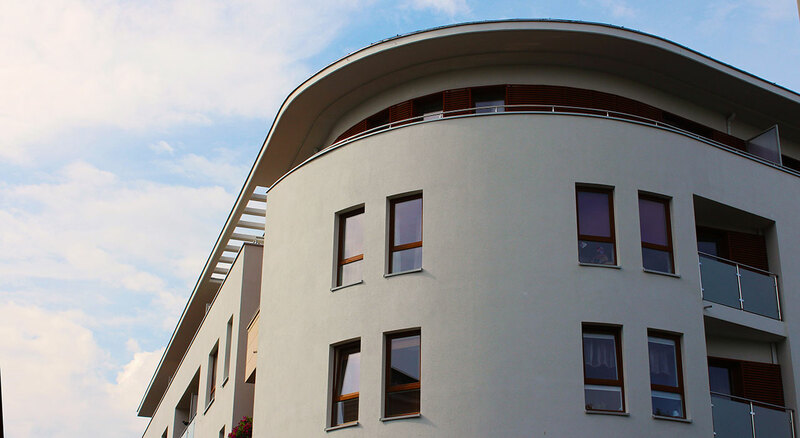 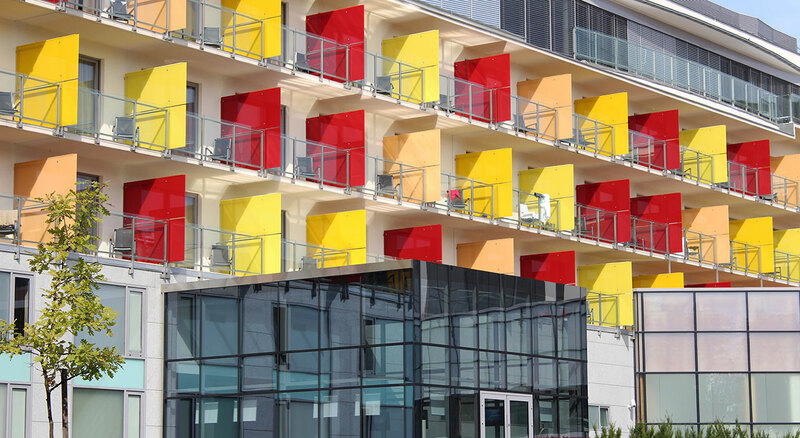 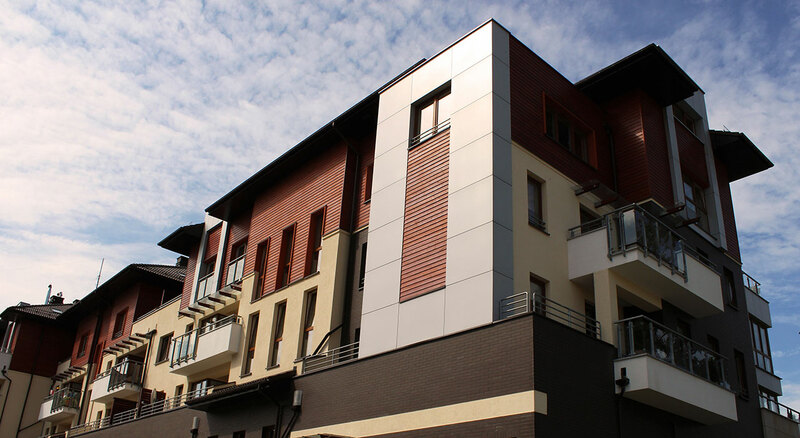 In period from spring to autumn we are able to fulfil up to 10000 m2 surface of building facade. 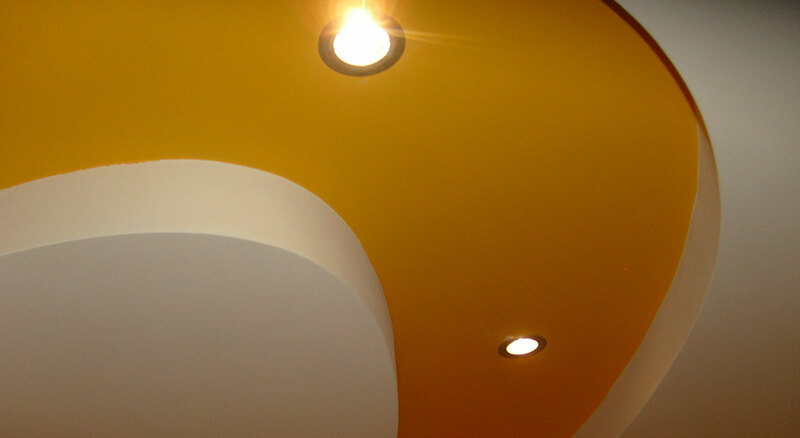 We also finish works indoors - either for council housing, industrial buildings, public buildings and detached houses. 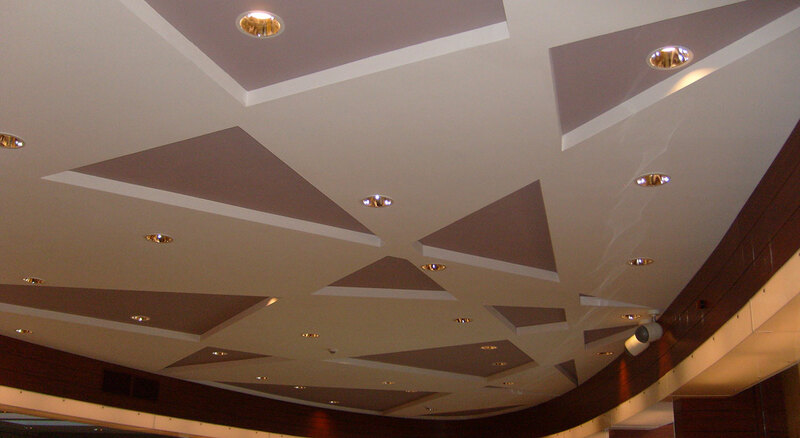 Our motto is high quality of our building works. 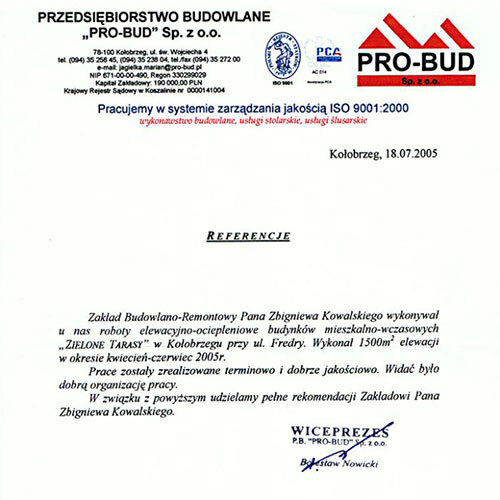 Thirteen qualified workers are employed in the company. If required we cooperate with amicable firms. 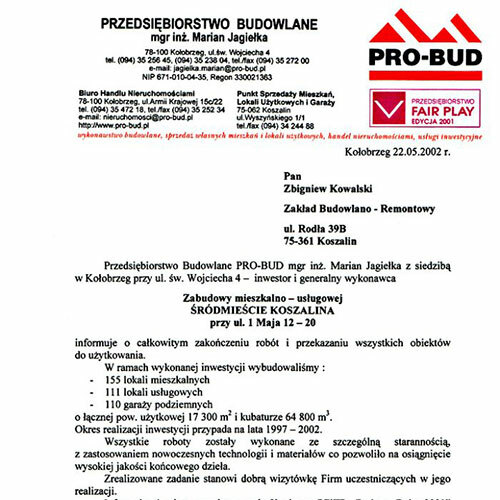 We own 1700m2 of scaffold, delivery trucks and indispensable construction equipment. 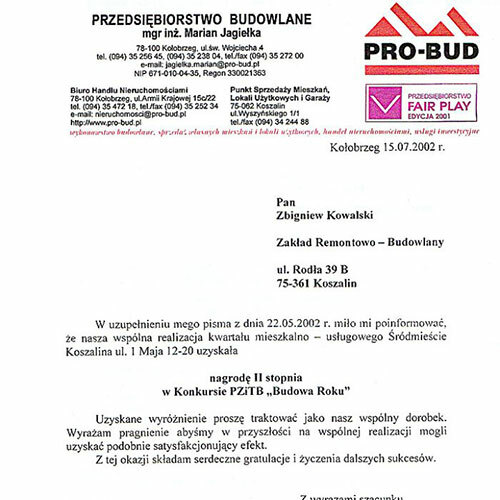 - 'BAJKOWE' housing estate in Mazowiecka Street in Kołobrzeg. 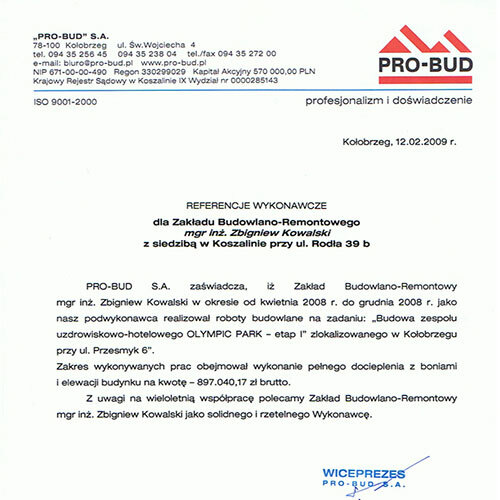 I guarantee high quality of our works!